17th of October, 2013, 7 p.m.
To gain an overview of the habitat is the inhabitants of the earth an instinctive basic need. Gerhard Mercator, mathematician, cartographer, theologian and philosopher, created in the religiously tolerant embossed City Duisburg in the year 1569 an applicable in practice complete map of the world: „Nova et aucta orbis terrae descriptio ad usum navigantium emendate accomodata“. It allowed for the first time a navigation, matching with the reality and perpetuated Mercator’s name in the history of mankind. Nearly five centuries later the named after him and over time refined formula of the Mercator projection is an common used technique for navigation programs and software and will also also be used to map the universe. Commissioned by the Duisburg Philharmonic, the composer Dorothée Hahne has transformed the Mercator world map and projections into a multimedia work. For this purpose she digitized the ancient world view, and unequalized analogous to Mercator projection in a data matrix of pixel values, to reinterpreted them in note values. According to the currently Mercator’s dominant spiritual worldview and simultaneously itself establishing ionic church mode (now the major scale) the data matrix is based on the note C. Hahne developed compositional techniques based on natural proportions to appreciate and tune the shape and the structure of Mercator’s world view. The sounding image of the historical view of the world works together in dialogue with set in motion and projected photographic views of the earth, which were made by astronauts from orbit five centuries after Mercator. During the premiere of the world map set to music orbiting astronauts on the International Space Station (ISS) the earth and publish and share at the same time photographed images over the Internet. 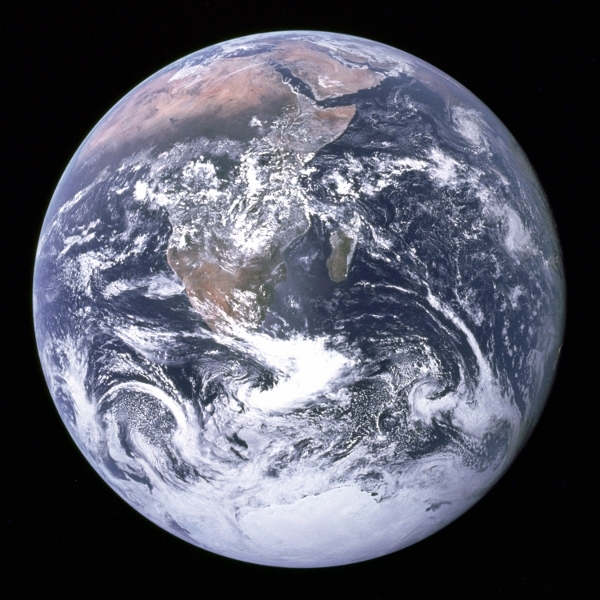 The perception of the overwhelming size and perfection of his native planet compared to the minuteness of the individual causes for the astronauts called the „Overview Effect“. This overwhelming experience changed on the spiritual level perspective on the planet Earth and the human race living on. Characteristic of this are the feelings of awe, a deep understanding of the interconnectedness of all life and a new sense of personal responsibility for the appreciation and preservation of this unique world. For Dorothée Hahne the International Space Station (ISS), which is realized in cooperation of several nations who were enemies in part in earlier times, stands as a symbol for the vision of a future global peaceful coexistence. All pictures with the friendly support and approval of NASA / ESA. Many thanks to Chris Hadfield, Evan Hadfield and Andreas Schepers (ESA/ESOC) and Reinhard Hubert. The composition mandate of the Duisburg Philharmonic has been supported by the North Rhine-Westphalia Ministry for Families, Children, Youth, Culture and Sport.